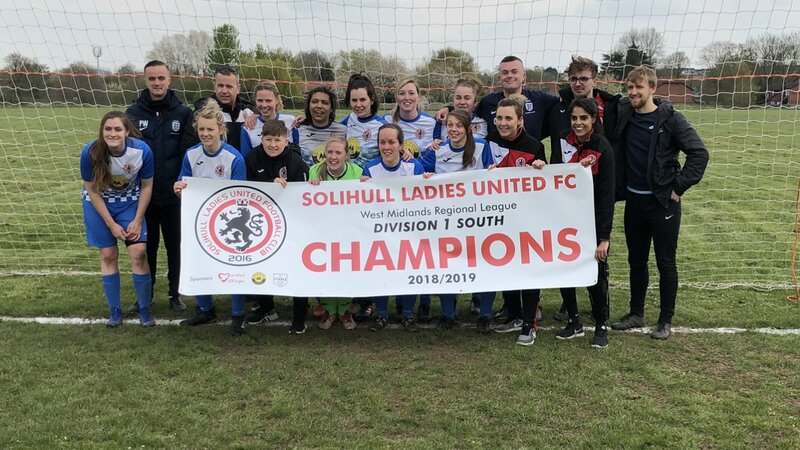 Exeter City and Kent Football United secured promotion to the FA Women’s National League, while Bury, Solihull United and Wootton Bassett Town all clinched Regional Division 1 titles. PREMIER – Second-placed Royston Town had a 5-1 result against Haringey Borough, while Colney Heath beat Brentwood Town 2-0 to leapfrog them into eighth. 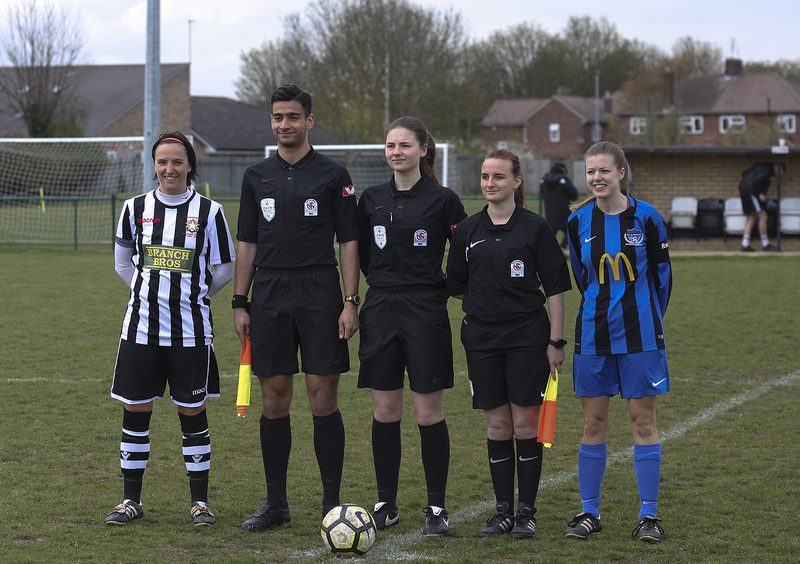 ONE – Bowers & Pitsea’s Sophie Dowman got the only goal at Hutton, Newmarket Town took the points 3-2 at Hoddesdon Town Owls, King’s Lynn Town netted nine against Hatfield Peverel as Oksana Imanalijeva topscored with four and Lawford beat Bishops Stortford 3-1. LEAGUE CUP S/Fs – Cambridge City eliminated Harlow Town 3-1 and Bedford won 2-1 at Peterborough Northern Star with goals by Amy Magnus and Jasmine Ajayi. The final is at the Herts FA County Ground on 12 May. LEAGUE PLATE S/F – Histon were the first to book a final berth with a 2-1 extra-time result at Stevenage Reserves. PREMIER – Donna McGuigan’s double helped Peterborough United to a 3-1 result at Rise Park and put them within a point of leaders Lesicetser City WFC Develeopment. Oughtibridge kept up the pace with both goals at Kettering Town, while Woodlands drew 2-2 with Ollerton Town. 1 NORTH – Arnold Town were pegged back at 1-1 by Sleaford Town’s leveller from Lauren Alderson, Calverton Miners Welfare won 3-1 over Grimsby Borough with Hayley Brown bagging a brace. 1 SOUTH – Northampton Town won the title ‘six-pointer’ 3-0 at Oadby & Wigston where Emma Dunmore scored twice, Lutterworth Athletic saw off Loughborough Foxes Vixens 2-0 and Thrapston Town got off the bottom at the expense of Corby Town, whom they beat 2-1 away. PREMIER – Kent Football United finished three goals better off than AFC Phoenix at the top of the table, having beaten QPR Girls Development 3-1 in the final game. Chloe Franis, Amy Russ and Elizabeth Waldie got the goals to take their side into the FAWNL. GREATER LONDON JOHN GREENACRE MEMORIAL TROPHY Q/F – New London Lionesses put six past Headstone Manor, with Beth McGhee on target twice. SOUTH EAST COUNTIES PREMIER – Saltdean United finished with an Ellie Smith winner at Newhaven but Ashford LFC can still take the runners-up spot, having beaten Lewes Foundation 2-1 with a Kayleigh Weeding double. PREMIER – Durham Cestria were awarded the match with Castleford White Rose. 1 NORTH – Jessica Round scored four times in an 8-3 goal-fest victory for Redcar Town over Consett, which saw Sunderland West End finish second. Boro Rangers beat Alnwick Town 2-0 to go fourth. PREMIER – Stockport County edged a nine-goal thriller with Tranmere Rovers in the clash of the top two, FC United of Manchester kept up the pressure with a 4-0 win over Wigan Athletic. Merseyrail defeated Fleetwood Town Wrens 3-1, Mossley Hill went one better in beating Penrith, while Sir Tom Finney got the better of Manchester Stingers 5-3. 1 NORTH – Bury’s 8-0 & 3-0 scores against Preston North End in a double-header at Gigg Lane saw them crowned champions. Carlisle United beat Burscough Dynamo 3-0 to go second, Workington Reds took four points against Penwortham Town with 3-2 & 0-0 scores. 1 SOUTH – West Didsbury & Chorlton all but clinched top spot with 5-1 & 3-2 victories over Warrington Wolverines. Curzon Ashton were 2-1 winners at Stockport County Blues, Chester edged Northwich Vixens 4-3, Altricnham stormed to an 8-1 win at Wythenshawe Amateurs, while Didsbury won 3-0 and drew 1-1 with City of Liverpool. PREMIER – AFC Bournemouth won 3-1 at Winchester City Flyers but lead now by just two goals as Southampton FC Ladies made it fifteen straight wins with a 3-0 result at Barton Rovers, all their goals coming in a nine-minute spell in the last quarter of the game. 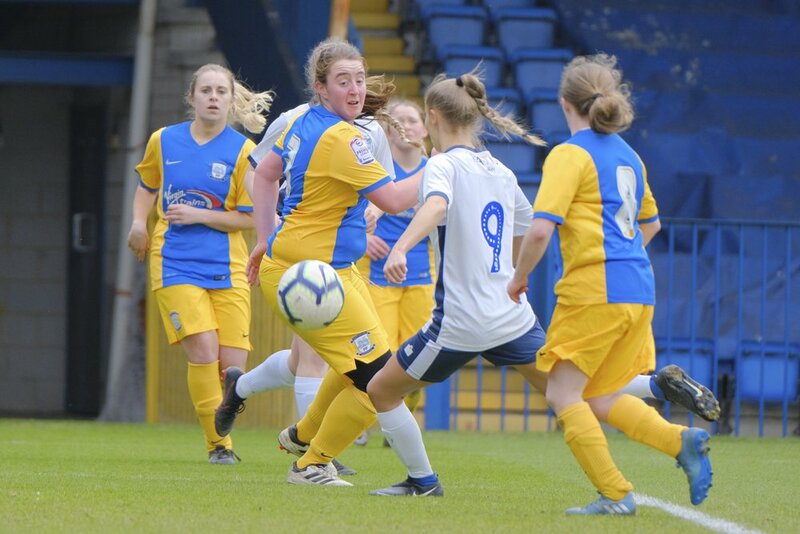 Oxford City are out of the running despite a 2-1 victory at New Milton Town, while Warsash Wasps sent Newbury to a 5-1 defeat as Megan Fox scored three times. ONE – Moneyfields lead by three points with two games to go after sinking Eastleigh 7-1, Kimberley Whitcombe with a four-goal haul in their sixteenth win in a row. Abingdon United in second got both goals of the game at Wycombe Wanderers. 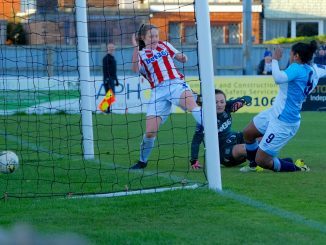 PREMIER – Exeter City won the title decider with Keynsham Town Development, Sophie Gillies at the double and substitute Danielle Skinner with their other in a 3-1 victory. Marine Academy Plymouth went third with all three goals against Bishops Lydeard, Portishead got both at Forest Green Rovers. 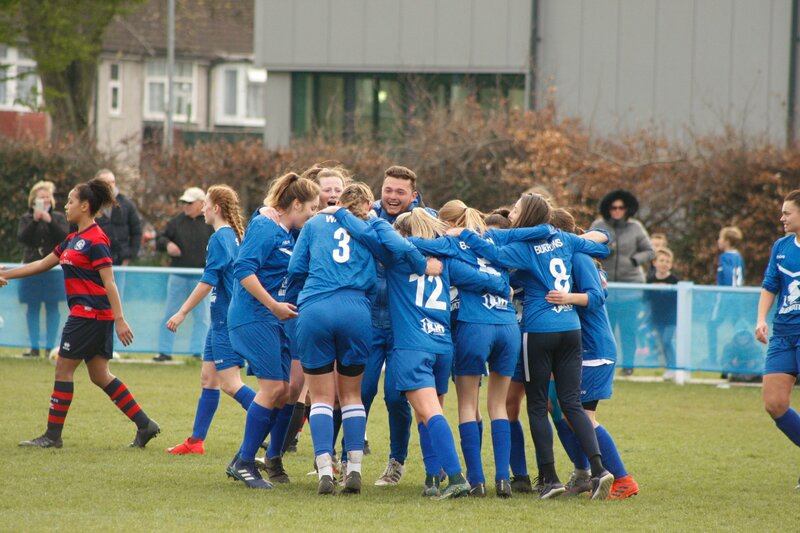 1 EASTERN – Wootton Bassett Town became champions after goals by Amber Egerton and Hayley Huckin at Swindon Town Development saw them pip Frampton Rangers to the title on goal-difference. Their rivals were 4-1 winners over Laverstock & Ford, Madeleine Brown with a hat-trick. 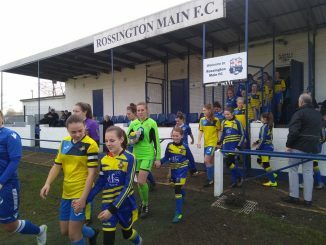 Ellie Keedwell struck as AEK Boco edged Trowbridge Town 1-0, FC Chippenham finished without a point despite a second-half fightback in a 3-2 home reverse to Oldland Abbotonians, for whom Anneka Hawkins-Hoare was twice on target. 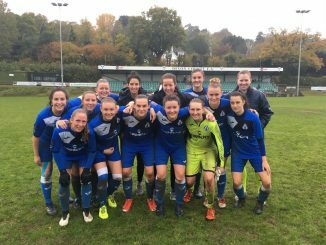 1 WESTERN – Plympton went above Bideford to take the runners-up spot with a 2-1 defeat of Pen Mill, in which goal-scoring substitute Bethany-Ann Mitchell was sent off, along with opponent Rebecca Roberts. Weston Super Mare ran out 6-3 winners at Exeter & Tedburn Rangers and St Agnes had a walkover in the home fixture with Alphington. PREMIER – Sutton Coldfield Town went down 2-0 at Goldenhill Wanderers, as they missed the chance to go top of the table. Crusaders climbed over Redditch United into fourth by beating them 4-0 away. Stockingford AA Pavilion had a walkover against Coventry Sphinx. 1 NORTH – Shifnal Town look to have taken second place with a 4-3 win over Stoke City Development, as the Potters now need a double-figure win against Sandwell. Shrewsbury Town came through 4-3 on their travels to Port Vale. 1 SOUTH – Kidderminster Harriers’ 11-1 thrashing on hosts Leamington was not enough, as Solihull United finished in pole position with an 8-0 outcome at Kingfisher.